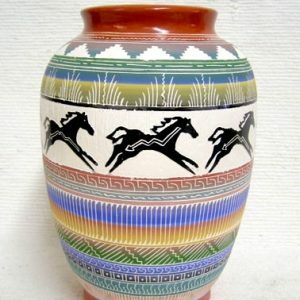 This beautiful finely etched Navajo red clay pot is etched with traditional symbols. 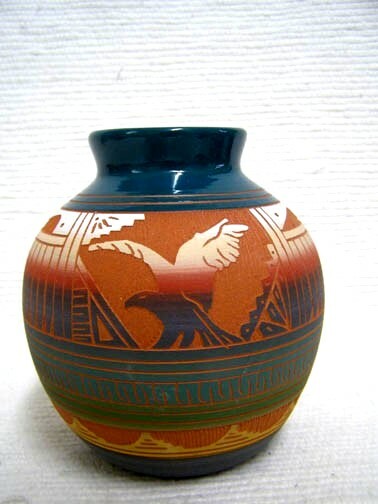 This pot has a beautiful etching of an eagle, the messenger to the gods. 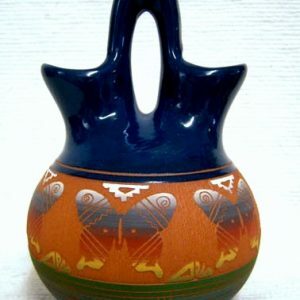 This beautifully etched piece is a wonderful example of Navajo red clay pottery. 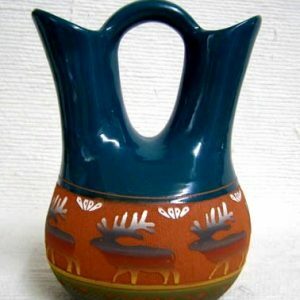 This pot is NOT glazed inside & cannot hold liquid. 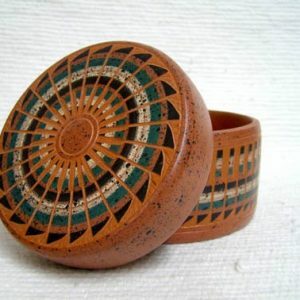 This pot measures 5 inches tall x 4.5 inches in diameter.